Skype and Google Voice had established themselves as great apps. 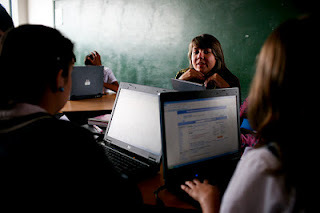 But if we take a little bit of what Google Voice does and a little bit of what Skype does, we can create a unique package to get cheap rates, lower than those offered by Skype itself. Full disclosure: Education & Tech has been paid to write this article on behalf of Vonage Mobile. As many are still very comfortable with Skype, Vonage Mobile app, however, tops it when it comes to 1) cheaper rates and 2) much better address book integration. Vonage Mobile outdoes Google Voice with free calls/texts. 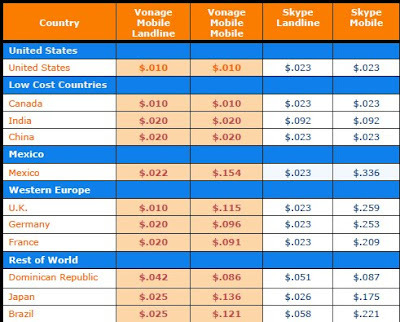 In overall, Vonage Mobile rates are much cheaper than other carriers. 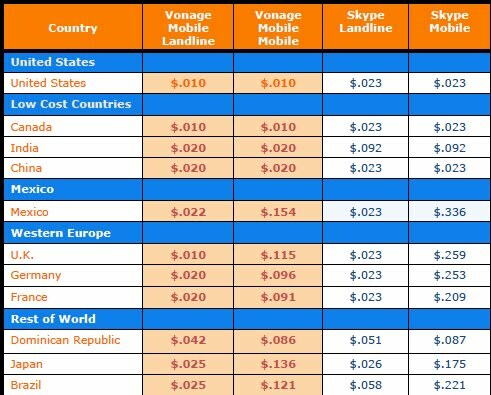 The chart below is a sampling of Vonage calling rates to landlines or mobile phones, and Skype rates to the same countries. 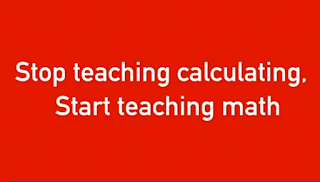 Call any phone number in over 200 countries averaging 70% less than most major mobile carriers. If you don’t see the calling rates for the country you need, you can check calling rates to a specified number from within the Vonage Mobile app. So far, media comments and analysis are positive in regarding the revamped Vonage. Kxoradio reports: "Vonage Mobile consolidates the best features of our prior applications, while adding important functionality, better value and improved ease of use," said Marc Lefar, CEO of Vonage. "It combines the best of free high-def voice and messaging along with incredible value for traditional international calls, all while using the existing mobile number and address book for unsurpassed ease of use." 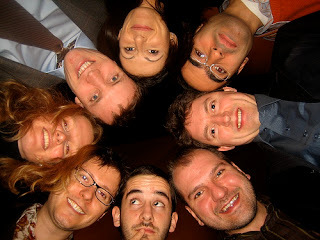 While Hack College summarizes: "Though it’s not the end-all be-all in VOIP apps, Vonage Mobile has some very strong features that make it better than Skype/Google Voice in some respects. While it doesn’t replace those two great apps, it’s definitely worth a download as a free calling app whenever you want to avoid using your minutes. To receive updates on all things Vonage, including special promotions and offers, please click here.